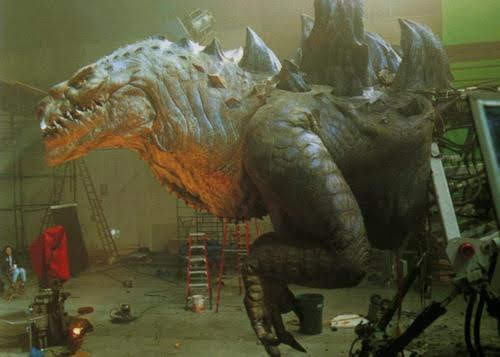 I think this may be one of the last big movies to predominantly use miniatures over CGI and for that reason alone gets my vote as the best "western" Godzilla movie ever made. The Visual Effects Supervisor was Volker Engel with a company set up to oversee all the miniature work on the film called Sight Line Productions. 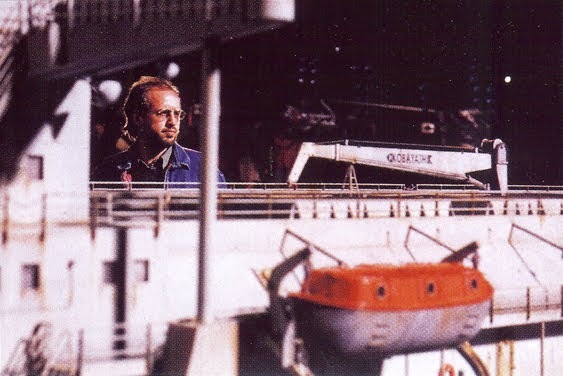 The Miniature Visual Effects Supervisor was Don Baker with Anna Foerster the Visual Effects Director of Photography. 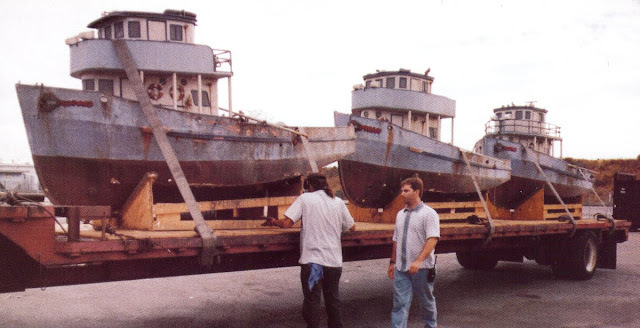 Originally in the script this vessel was going to be a supertanker and construction had already started when the production decided to change it to some form of fish processor. 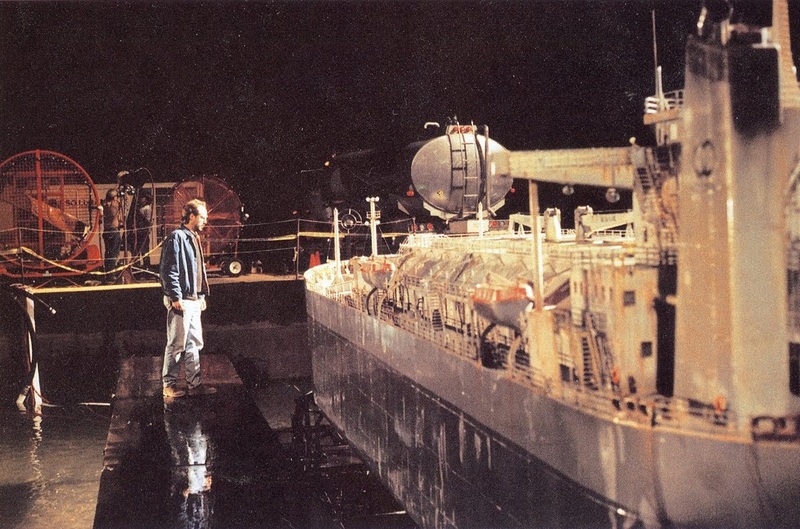 This was to give a reason for Godzilla to attack the vessel, being that he was after the fish. You can certainly see the supertanker origins in the model. 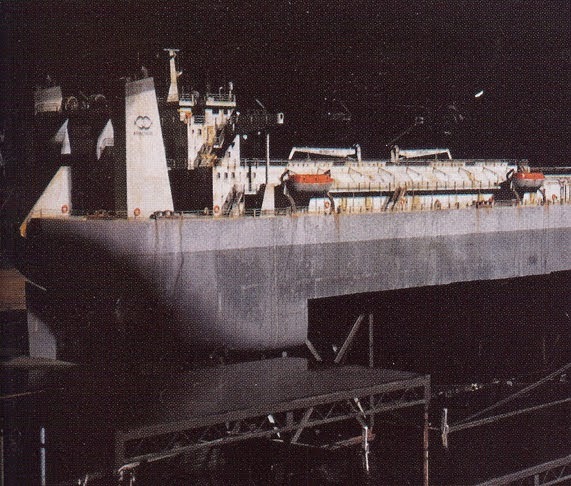 This seems to be just the rear underside of the hull. 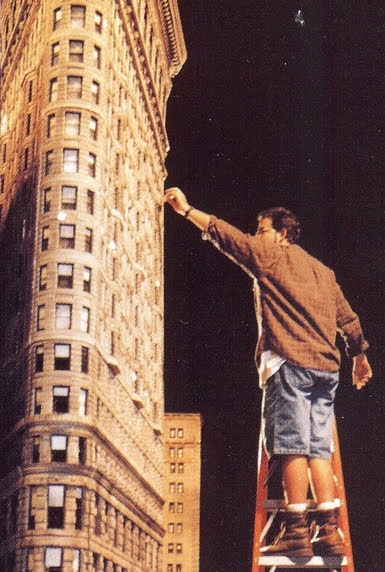 I don't recall any shots in the movie of this so it may have been cut. 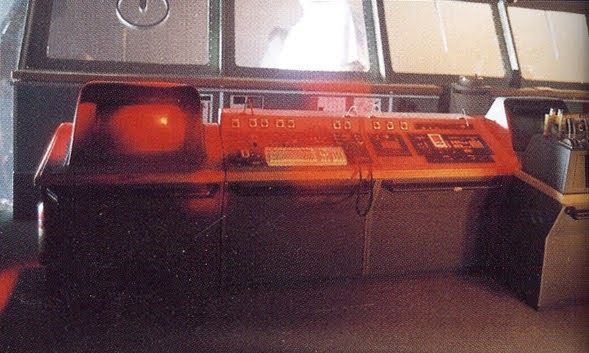 Cinnabar also made multiples of a 1/4 scale miniature interior of the bridge control room for a quick shot of Godzilla's tail smashing through the windows sending some composited stuntmen flying. 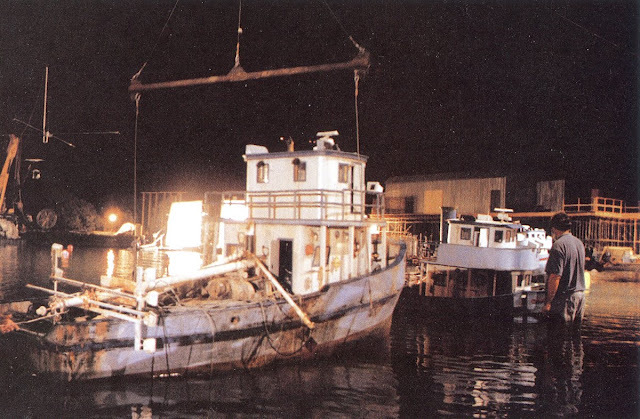 Godzilla next encounters three 1/3 scale model fishing trawlers that are pulled underwater by their fishing nets. The models were built by the Stirber Visual Network supervised by John Stirber. 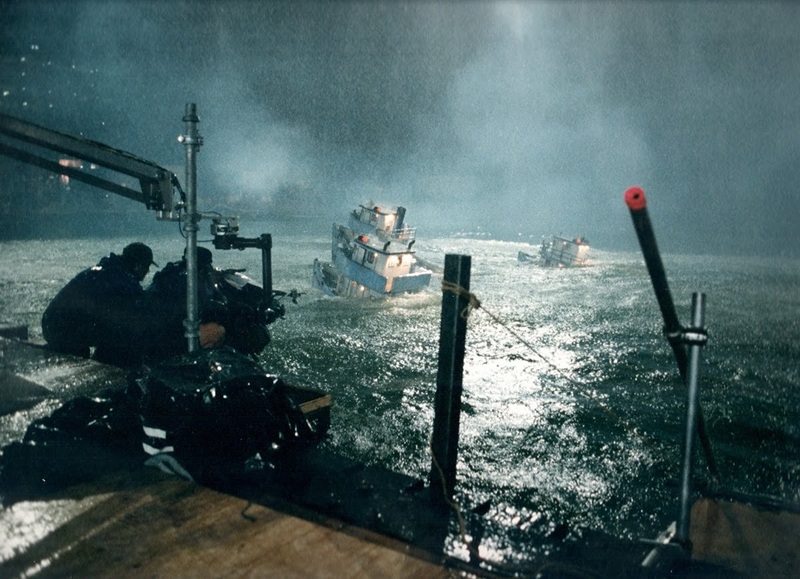 This sequence was filmed at Universal's Falls lake. 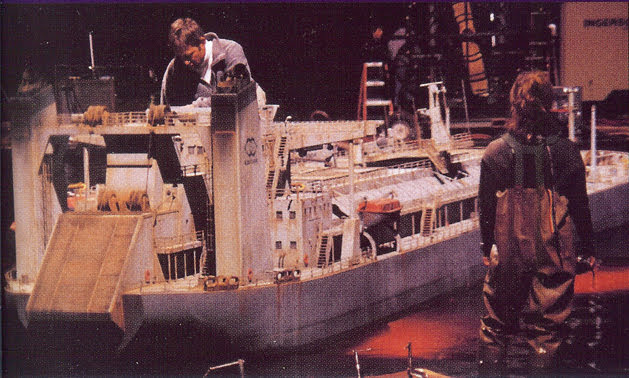 The miniatures were attached to cables and pulled by an off-screen truck along rails that sloped down to effect the stern first sinking. The end of the sequence has the boats bobbing back up from the depths achieved by tying the buoyant hulls down under water and then cutting the cables on cue. 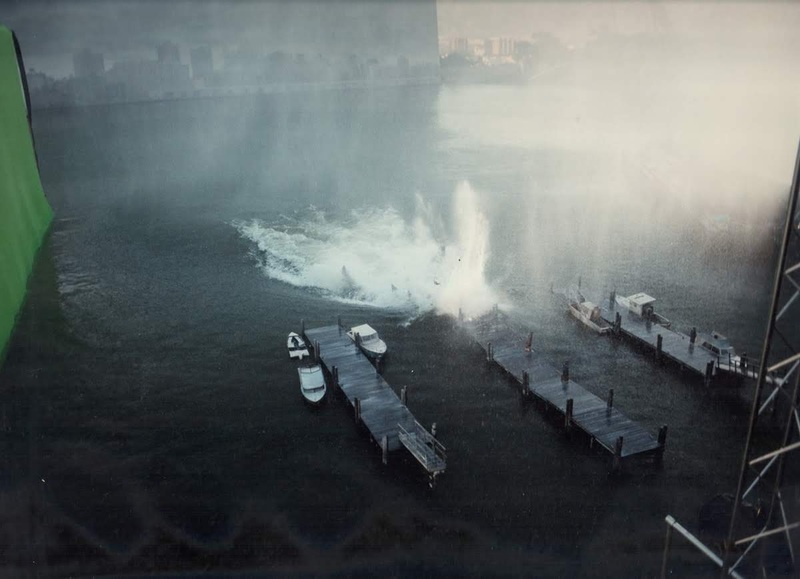 Godzilla emerges from the sea at New York and demolishes a 1/6th scale wooden pier. 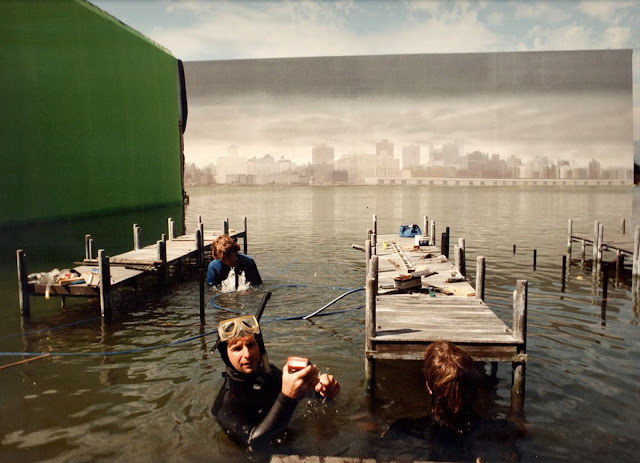 Joe Viskocil and his crew rigged the pier to break up sequentially as a 1/6th scale head section of Godzilla was towed along an underwater track. 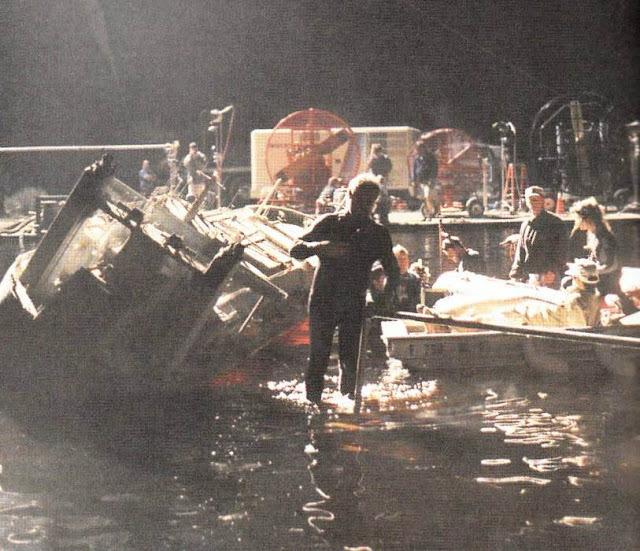 The scene is populated with a number of scale boat models. A running actor along with his reflection was composited into the miniature shot. 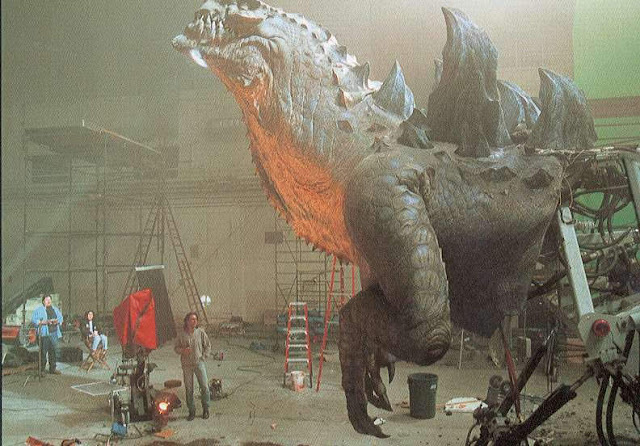 While for the most part Godzilla was a CGI animated critter, for a very few shots a 1/6 scale giant animatronic puppet was employed, usually when interacting with like scaled miniatures. 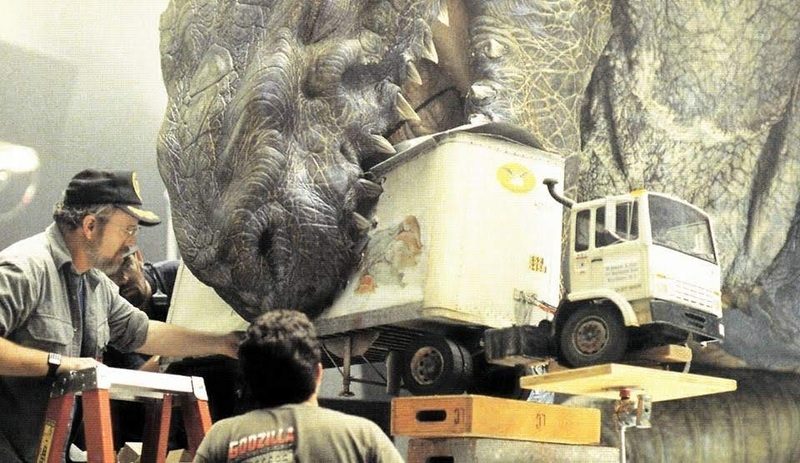 A 1/6 scale truck and trailer was built by Cinnabar which was then crunched in the massive jaws of the 30 foot tall (9.1m) upper torso Godzilla puppet built by the designer Patrick Tatopoulis and his company. 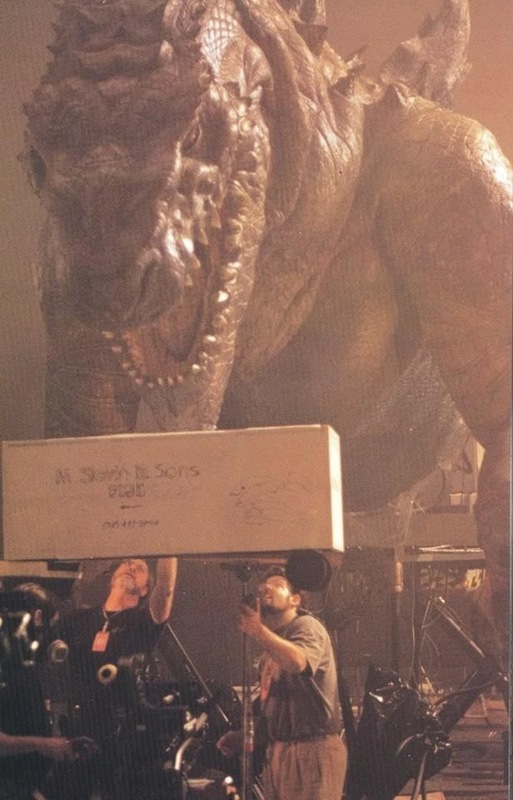 They also built a 1/24th scale man in a suit Godzilla animatronic which was used for interaction in the 1/24th scale miniature sets described further on as well as a number of baby Godzilla animatronic critters. 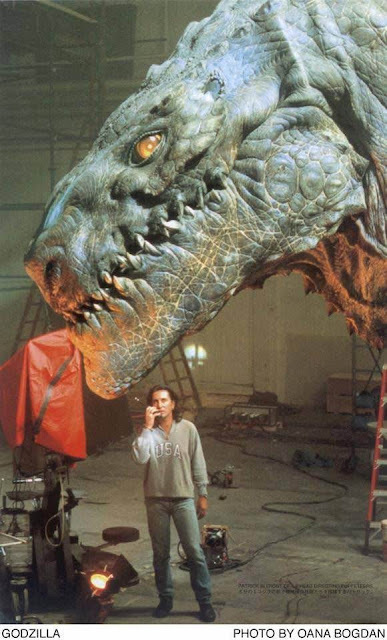 Patrick Tatopoulis and the 1/6th scale Godzilla animatronic torso puppet. 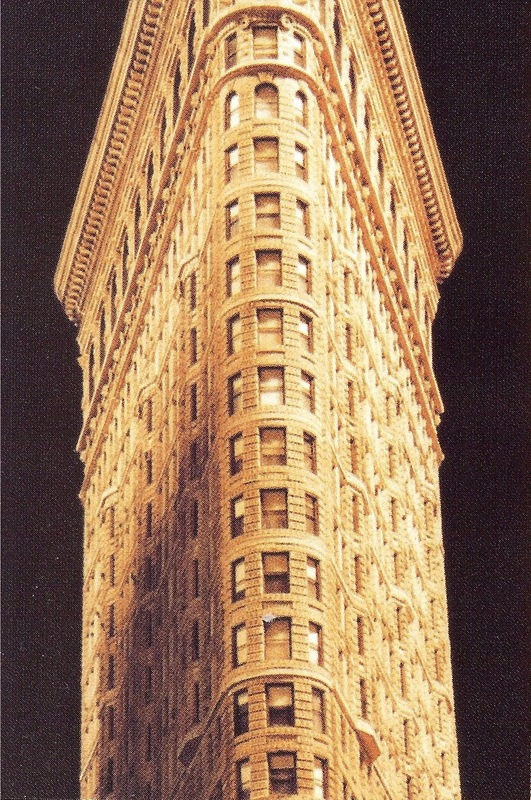 Godzilla then runs amok in the streets of New York with the night time shots being almost entirely represented with miniature buildings, these being sourced from two previous productions, namely the Fifth Element and The Hudsucker Proxy. Gene Rizzardi was in charge of refurbishing the buildings and adding more comprehensive street level detail. The buildings which were shuffled around for different shots and different streets and had alternative rooftops made to further disguise the constant recycling. 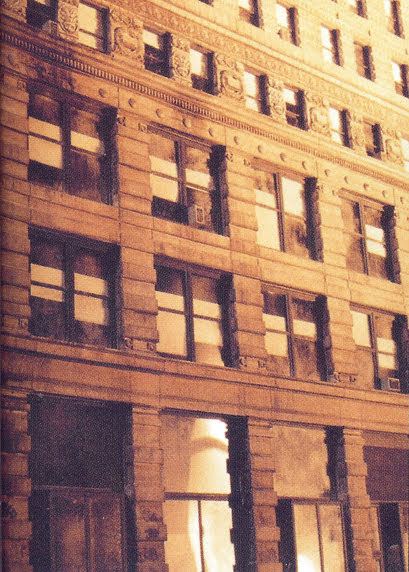 Cinnabar also made a series of damaged buildings for the sequence including the Metropolitan Life Insurance building with a hole through the middle. 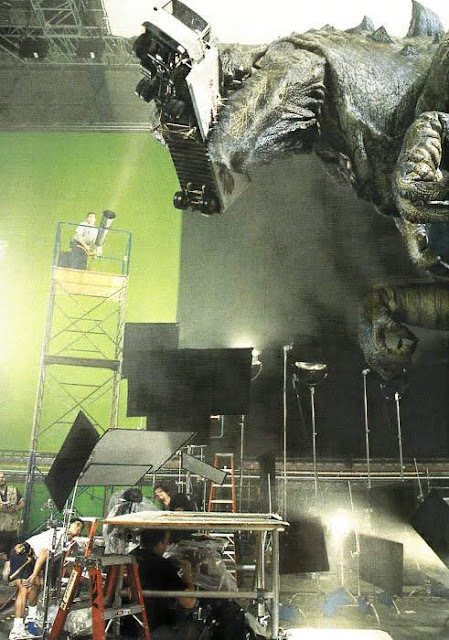 In some of these shots the 1/24 scale, man in a suit, animatronic Godzilla is fleetingly used. Volker Engel in the riverside setup. 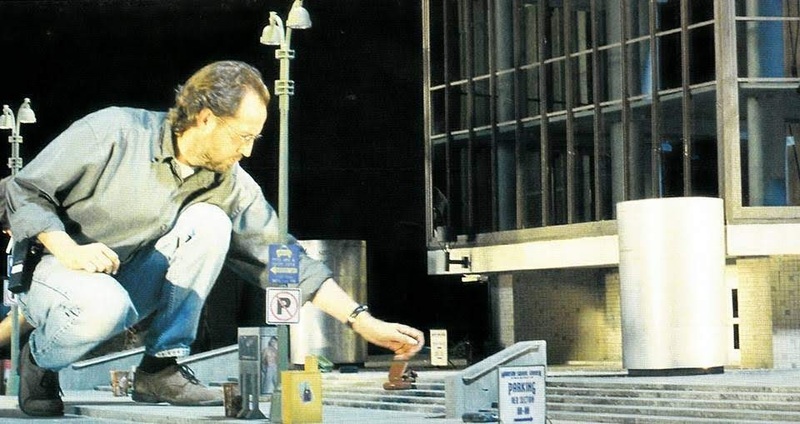 1st Camera Assistant Jeff Sturgill in a 1/24 street set up. The Apache shell hits and minor debris used CG elements composited on top without any actual damage to the rented models. 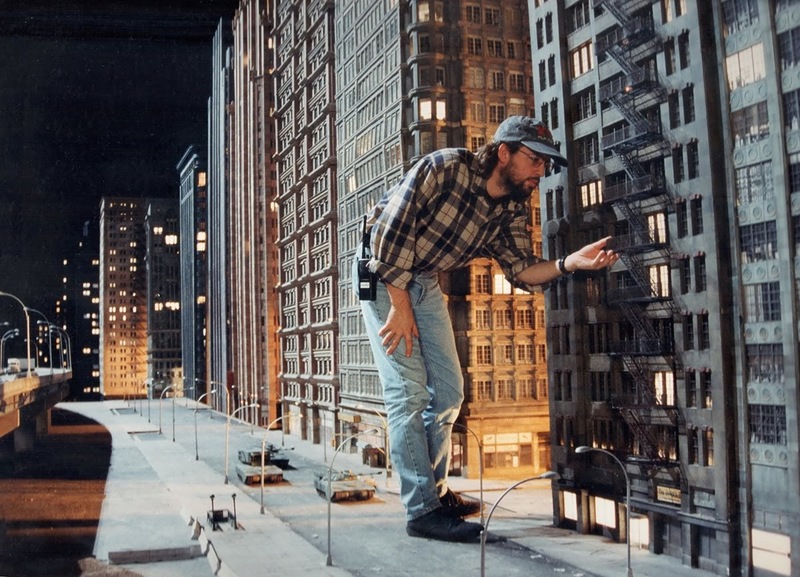 Some specific miniature buildings were constructed for some major destruction scenes. 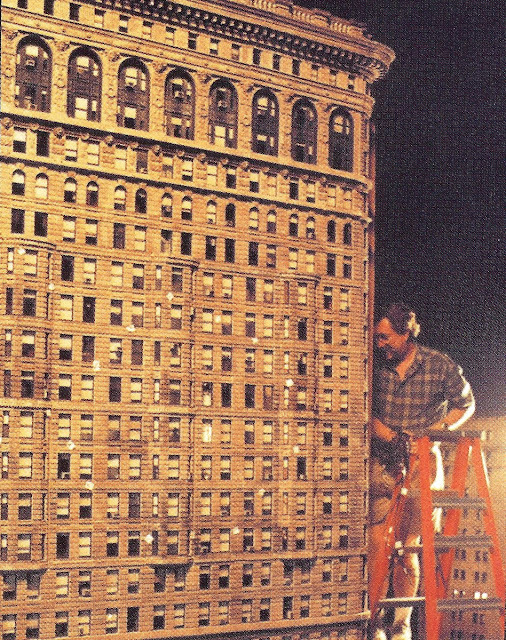 The New York landmarks the Flat Iron Building and the Chrysler building were built by Hunter Gratzner Industries as breakaway miniatures that had rigs to make them fall in a pre-determined way. Most of the Apache helicopters in this sequence were achieved through CGI but any that crashed or exploded were built as miniatures in 1/8th scale by Larry Jolly Miniature Productions and blown up by Joe Viscosil. 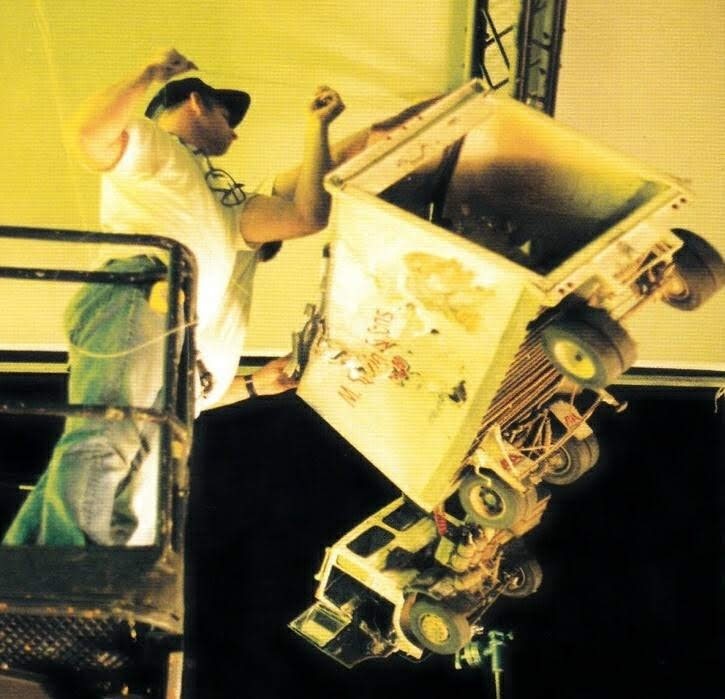 Larry Jolly also built some miniature Humvees which mainly have miniature Chrysler building debris fall on them. 1/6th scale tanks were built by Cinnabar with matching 1/24th scale tanks built by the Sight Line crew supervised by Gene Rizzardi. 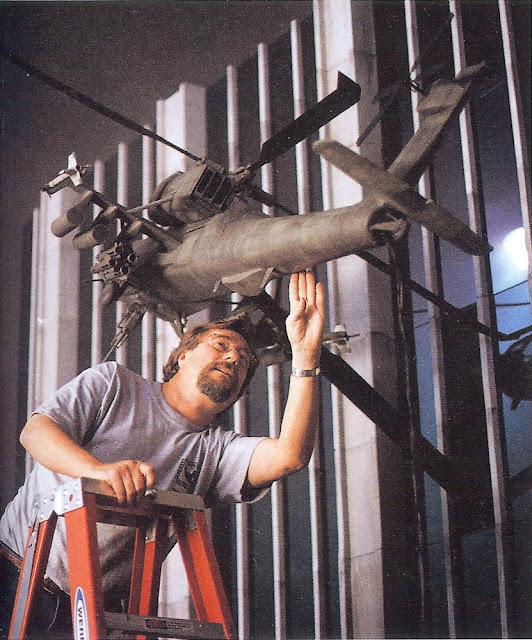 Joe Viscosil rigging an 1/8th scale Apache model for destruction. Godzilla has the strange ability, for something so large, to move about underground and a 1/6 scale tunnel was constructed in sections by Cinnabar for the backgrounds to a series of shots of godzilla crawling through. The tunnel eventually leads to a miniature Madison Square Garden stadium interior full of miniature Godzilla eggs. 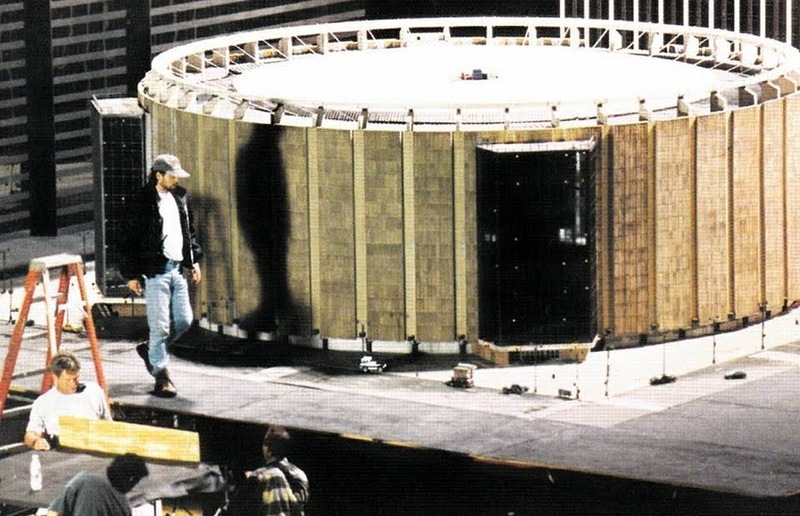 The stadium exterior is also represented by a 1/24th scale breakaway model that is blown up. 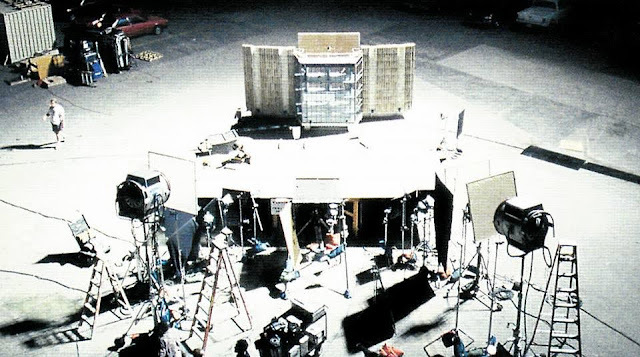 There was also a close up breakaway model of the entrance which is destroyed and used as a background plate for the composited fleeing actors. 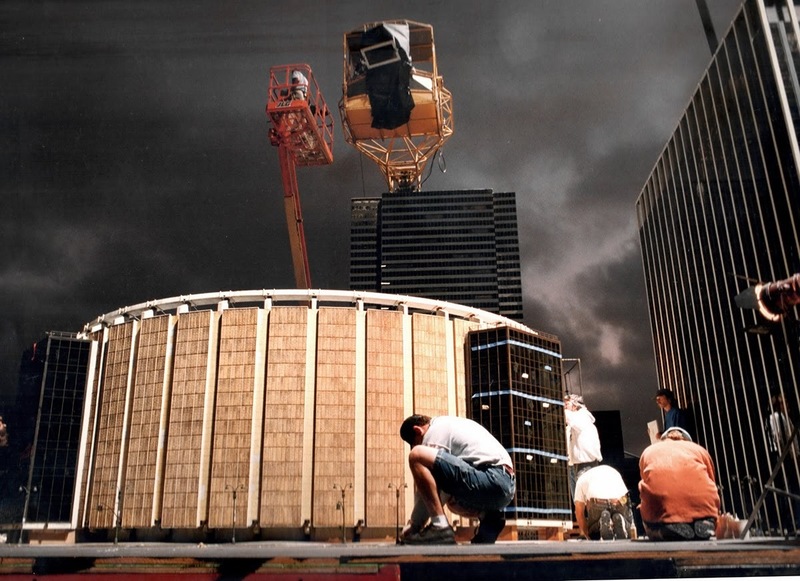 All the Madison Square garden miniatures were built by Cinema Production Services supervised by Michael Joyce. 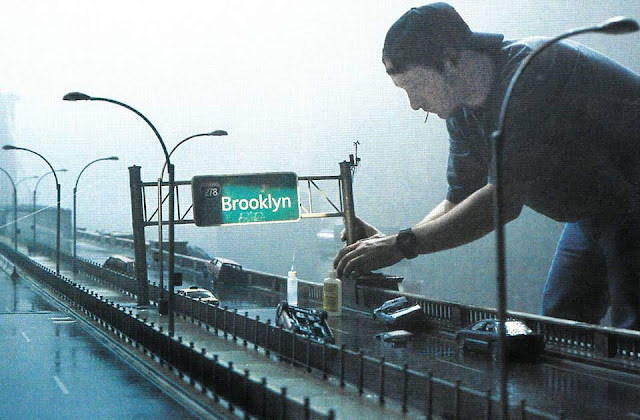 The miniature action then moves along the road towards the Brooklyn Bridge represented by 1/24 scale miniatures again built by Cinnabar. 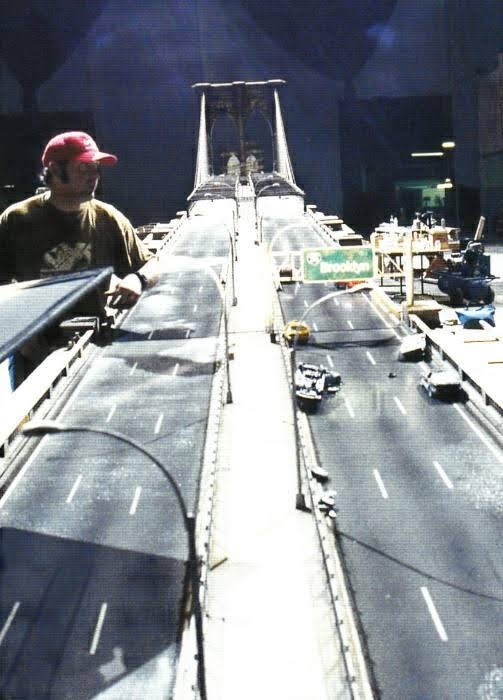 1/6th scale close up sections of the road and bridge along with a radio controlled 1/6th scale taxi cab and the 1/6th scale Godzilla head and jaws are also employed in the sequence. The 1/6th scale taxi was built by John Stirbe's crew and driven by Gene Rizzardi. 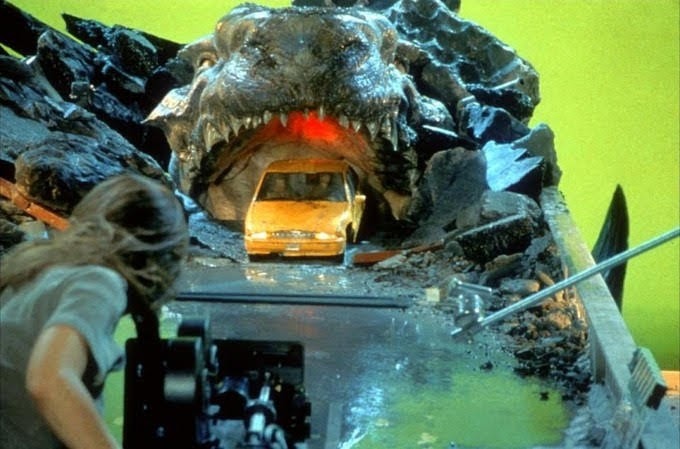 There was also a 1/6th scale road tunnel built for shots with the cab trapped by Godzilla. 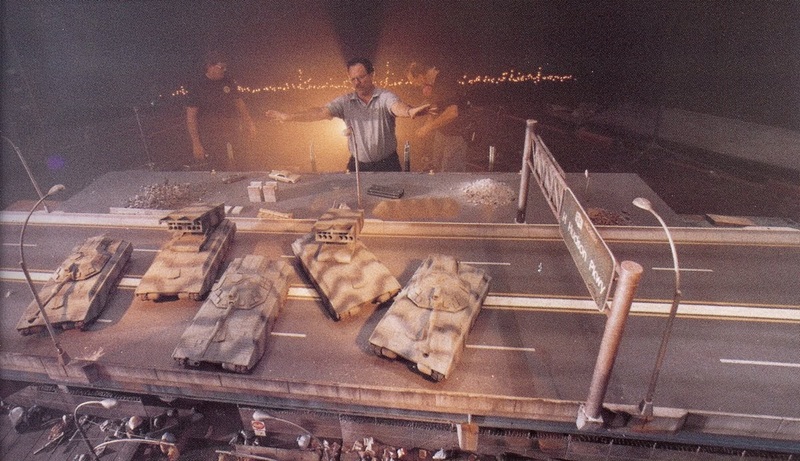 Miniature Visual Effects Supervisor Don Baker and 1/6th scale tanks..
A 1/24 scale Brooklyn Bridge breakaway miniature support tower was paired with a like scaled green Godzilla mandrel which was pulled through the pillars making them collapse. 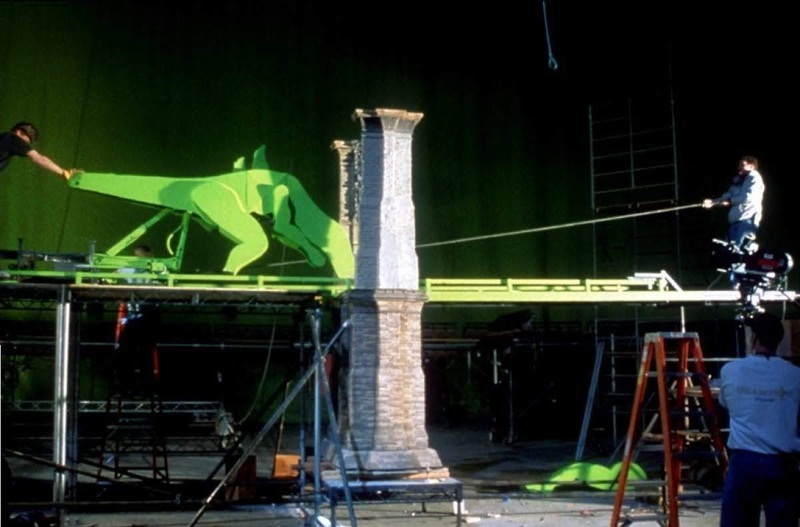 The CG Godzilla was later placed over the green screen dummy with much painstaking massaging of the composite to get it to all fit together. 1/6th scale tanks with live actors composited on top. 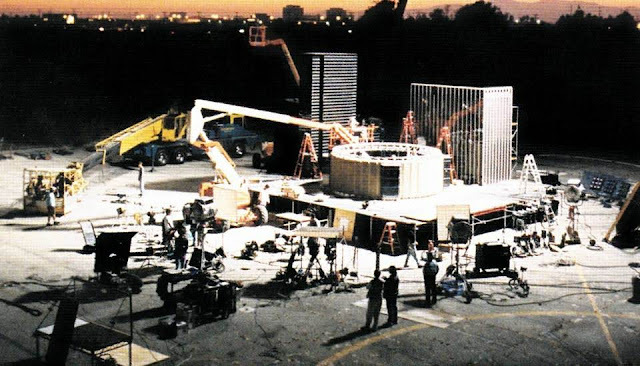 The Making Of Godzilla by Rachel Aberly, HarperCollins 1998.